If you are looking for a used truck in near mint condition for a fraction of what you would pay for a brand new vehicle, visit DePaula Chevy. We have the finest selection of trucks to meet every need and price point. Our inventory of used trucks beats the competition and offers you diverse options to consider, while shopping for your next quality used truck in Albany, NY. At DePaula Chevy, selection and price are not our only selling points. We also are pleased to be able to boast about our great sales team and Customer Service Department. Our acclaimed Sales Team will sit down with you to help assess what you are looking for in a truck and then help you to find the best fit for your budget and lifestyle. We offer many makes and models to suit your taste and budget. For the finest options in used trucks in Albany, NY be sure to visit DePaula Chevy, your local used car dealer. Typically, these trucks and SUVs are available on our lot as pre-owned or certified pre-owned options in a variety of model years. And as always, at DePaula Chevy we ensure that our used vehicles are of the highest quality and are sold at a reasonable, transparent price. We are pleased to be able to offer the finest opportunities in automotive financing to suit your budget and lifestyle. Our Sales Team is skilled in the area of assessment of need and is knowledgeable about all of our financing options to help make the purchase of your DePaula Pre-Owned vehicle a pleasant and uncomplicated experience. We are very pleased to be able to offer our “No-Obligation Car Loan.” If you have already secured credit from your own bank but would like to see if you can find a lower interest rate, we can do that for you! Just make certain that you let our Sales Team Representative know that you would like to pursue this option and we will be pleased to make it happen. At DePaula Chevrolet, we understand that every situation and budget is unique and are able to offer many options for financing your Pre-Owned DePaula vehicle. Luxury 3 Day Exchange Option – If you purchase a vehicle and discover within the 3 days time that it might not be the dream fit you had anticipated, DePaula Chevy offers a program where you are able to exchange the vehicle for another if you bring it back to the dealership within 72 hours or before you put 150 miles on the vehicle. So, if you find that after your purchase that the truck you purchased with a Standard Cab is not going to accommodate your needs and a double cab is needed, you may return it to us for another model that will suit your needs and lifestyle better. Factory Backed Limited Warranties – For every Certified Pre-Owned vehicle, Chevy offers factory-backed limited warranties that are easily transferable to new owners. Every Certified Pre-Owned Chevy will have a 6-year or 100,000 mile Powertrain Limited Warranty, and a 12-Month or 12,000-Mile Bumper-to Bumper Limited Warranty. Both of these warranties have a $0 deductible. We strive to make certain that you continue to be pleased with your purchase, long after you leave our lot. As a member of the DePaula Chevrolet family, we make certain that our highly trained Customer Service Team is well prepared to accommodate every DePaula family service need in an orderly and competent manner. We are proud of the many accolades that we receive from all of our satisfied customers. “Excellent customer service. I used the service department for a recall repair, a new key fob, and a NYS inspection. Everything went fast and smooth. The staff was friendly, professional and efficient.’’ – Petro T.
DePaula Chevrolet is proud to have many satisfied customers as members of our DePaula Chevy family. Our satisfied customers are proof of our continued commitment to quality and price here at DePaula Chevrolet. The ideal option to encounter excellent used trucks in Albany, NY. 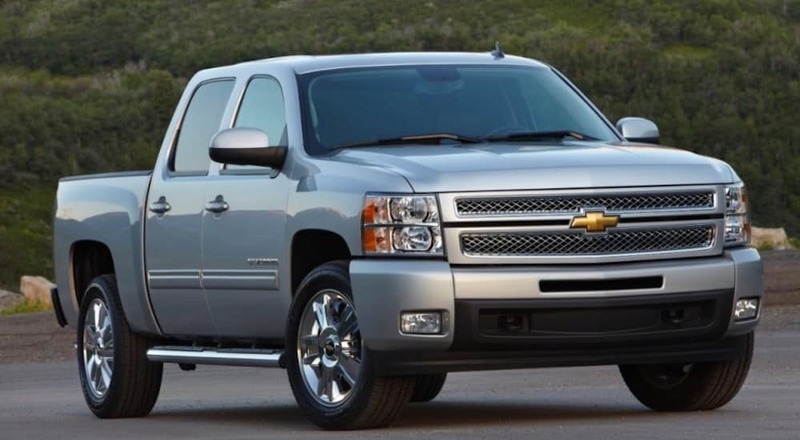 “DePaula Chevrolet is where my family and I go for our cars and trucks. It’s not always easy for a woman to go into a dealership alone, but here the salesmen are friendly and hassle-free. The Finance guys made it quick and easy for me to get into a new car stress-free. I highly recommend this dealership to my friends and family. Great deals to be found. My go-to salesman is Dennis Miller.” – Brooke S.
“John worked diligently in helping me to get the exact vehicle I was shopping for and for a price that absolutely met my expectations. He and his team went above and beyond to ensure that I could drive the vehicle home that day, as I am from out of town. I felt like the only customer he had that day.” -Brandy D.
These are just a few comments from our satisfied customers that attest to the caliber of what we have to offer at DePaula Chevrolet. Looking for a Used Truck? Visit DePaula Chevy in Albany, NY! If you are looking for quality and competitively priced used trucks in Albany NY, come and check out what DePaula Chevrolet has to offer. As your local used car dealer, we are eager to serve you with excellent customer service, unbeatable prices, and an impressive inventory.